I wrote this as a letter sent to the DC Thai Meetup group d-list. The group consists of about 50% Thai and 50% of people trying to learn to speak the Thai language. After posting it, I got a few emails back, most of people assuming by my letter that I can still barely speak any Thai. So as a quick addendum, I would like to say that as of this writing, I can read Thai 50% the speed and comprehension that I can for the English language. I can also understand almost half of what is spoken to me in Thai with absolutely zero context (body language, location, current event) to work from. So I figure this should be of some interest to those in this email list. 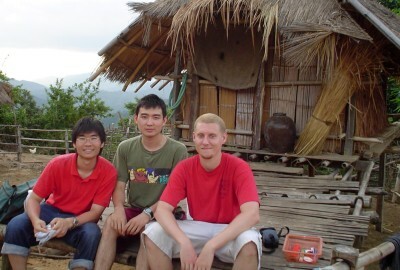 A little more than 2 years ago a Thai friend of mine asked me to come stay with him in Thailand. I decided to start studying a little survival Thai two weeks before my trip, just to get by and all . . .
And motivated by a 2nd trip to Thailand 6 months later, I continued to study . . . Was really fun to do things a typical tourist couldn't, to not just be with locals, but to almost be one myself . . . I am about a week or two from my 2 year anniversary studying the crazy language we call Thai . . . And I am still going with that carrot on a stick dream of one day being able to confidently call myself fluent. . . Being such a momentous occasion, I have been reflecting . . . So what have I learned from all this? LEARNING THE THAI LANGUAGE IS FREAKING HARD!!!!!!!!!!!!! I would admit even infinitely harder than building a robot to get a Singha beer out of the fridge (yes, I would know). A bit of encouragement . . . those who have studied an equivalent of about 210 hours (an hour a day for 7 months) know that you can communicate in complete Thai sentences. Perhaps you can just barely get by, but at least you can. Its a much easier, much more tangible, yet still very rewarding goal for many on this list to reach. At least 3 or 4 of you already have passed this point. I highly encourage everyone to set this goal. Anyway, being my two year mark, I have decided to dedicate myself for the big plunge . . . 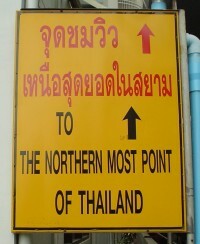 I am going to move and live in Thailand for a year. This new journey will happen around March of next year. Fits perfectly between a career transition, and right after I finally pay off my gagillion dollar tuition. Still gotta iron out tee rak issues tho (that's you, Jenny). I pray it will finally help me catch the carrot that's so elusive.